Founded in 1957 by Mr. Robert G. Cabell, III, and Mrs. Maude Morgan Cabell, the Cabell Foundation was established as a private, non-operating foundation to support the permanent needs of charitable organizations throughout Virginia, with particular emphasis on agencies in the metro Richmond region. Since its inception, the Cabell Foundation has provided permanent gifts and challenge grants to a diverse mix of nonprofit institutions. Mr. and Mrs. Cabell believed the Foundation should be responsive to human need in its deliberations and in taking initiative that would inspire the community to action. Early awards supported higher education and the cultural arts, including the Valentine Museum, Virginia Museum of Fine Arts, Randolph Macon College and Hampden-Sydney College. Mr. and Mrs. Cabell and the founding board members recognized the value of focused, strategic support and chose not to blanket the community with token grants. Today, Cabell Foundation support provides important leverage for the charitable sector in challenging the generosity of the donor community. The long term vision of the Foundation is to continue to meet the philanthropic needs of the community and to exist in perpetuity. Communities across the Commonwealth have been enriched by Foundation support to cultural arts institutions, historic preservation sites, environment and conservation initiatives, community development efforts, higher education infrastructure and the social services sector. Through 2017, more than 400 agencies statewide have benefitted from over $110,000,000 in philanthropic investments by the Foundation. 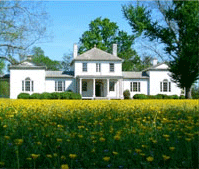 A Virginia Historic Landmark built in the 1850's, the Bolling Haxall House has served as the headquarters for the Women's Club since 1900 and today is the site of many cultural events and private receptions. In 2009 the Cabell Foundation awarded a grant to support repair and restoration work of the 1858 Bolling Haxall House. The Chesapeake Bay Foundation is the only independent 501(c)(3) organization dedicated solely to restoring and protecting the Chesapeake Bay and its tributary rivers. The Cabell Foundation has supported projects that promote environmental education at Port Isobel and oyster restoration efforts. St. John's Church Foundation works to provide educational programs and restoration efforts to preserve this important historic site where our founding fathers led the Second Virginia Convention in 1775 toward American freedom and independence. In 2009 the Cabell Foundation awarded a grant to support restoration and stabilization projects. The Cabell Foundation has supported the work of Family Lifeline to provide families with the tools and resources needed to create a better future for themselves and their community. In 2009 the Cabell Foundation awarded a grant to support emergency repairs and stabilization of Battersea Villa. 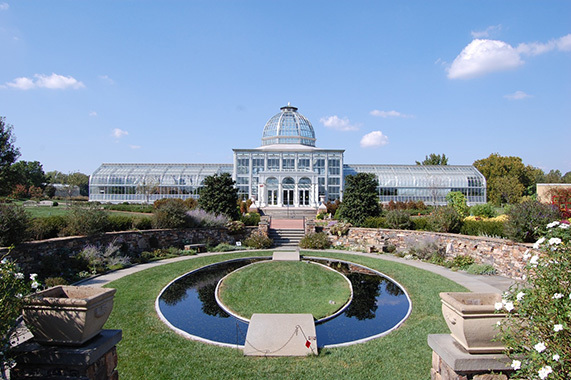 The Cabell Foundation awarded a grant to Lewis Ginter to support the redesign of the Central Garden between the Robins Visitor Center and the Conservatory to reflect the experience of walking through landscape history. Jacob's Ladder provides academic enrichment programs for gifted, at-risk youth. The foundation provided a grant in 2010 to support transportation services which enable students to partcipate in enrichment camps, special outings and weekend retreats.